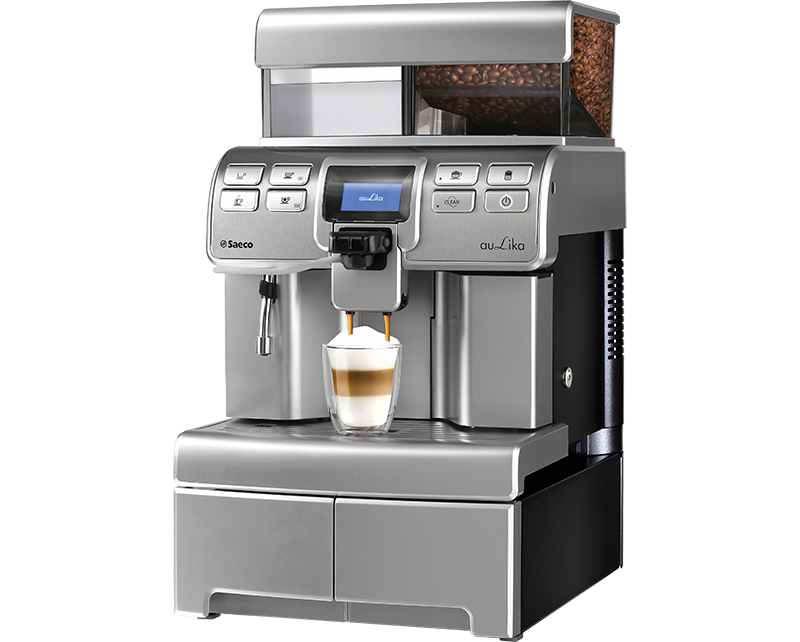 Aulika top is a one touch bean to cup machine. It is ideal for small offices and locations, serving an average of 50 cups per day. 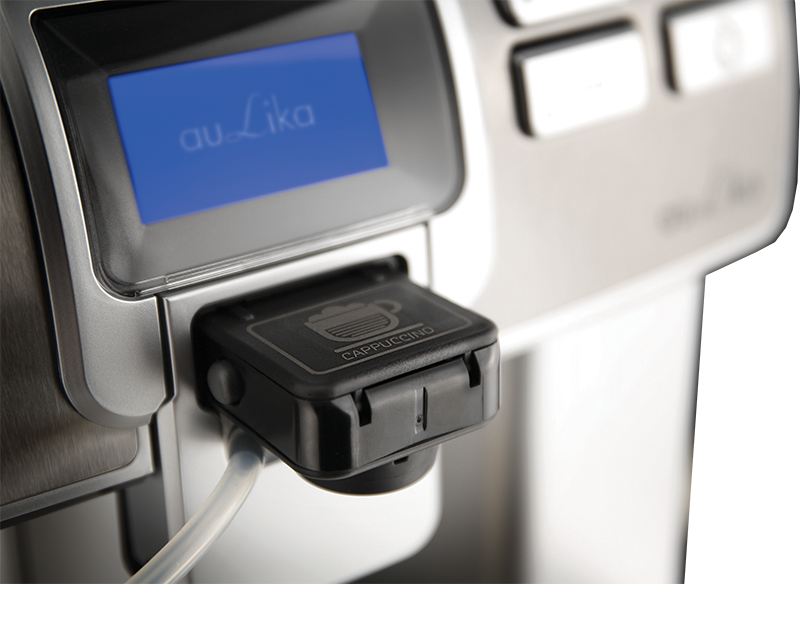 Aulika top delivers fresh milk-based coffees, such as cappuccino and Latte Macchiato at the touch of a button. 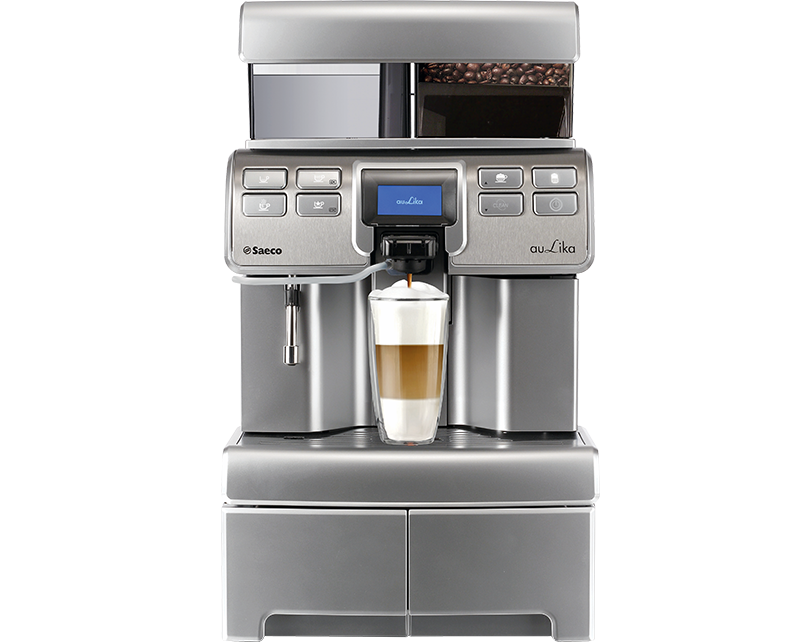 The machine operates on a standard 13 amp power supply and has a 4 litter internal water tank. It is clean and easy to use and delivers excellent quality coffee. Aulika top has a build-in grinder with 1kg capacity bean hopper and a waste coffee drawer that holds up to 40 portions of used coffee. A small milk cooler is provided with the coffee machine when the machine is rented.